Of all the announcements at Apple’s iPhone 7 event, the one that really got me was the launch of Super Mario Run. It’s the first time Nintendo is officially bringing its beloved franchise to mobile, and if you grew up playing as the iconic plumber in his colorful adventures through the 80s, you know how big a deal this is. The endless runner will come to iOS by the holiday season and will be available as a free download, with a single in-app purchase to unlock the full game. Following the event, Nintendo revealed to Kotaku that the title will come to Android at some point in the future. Phew! For a while, I was afraid I’d have to start carrying around my backup iPhone 5s to enjoy the game. 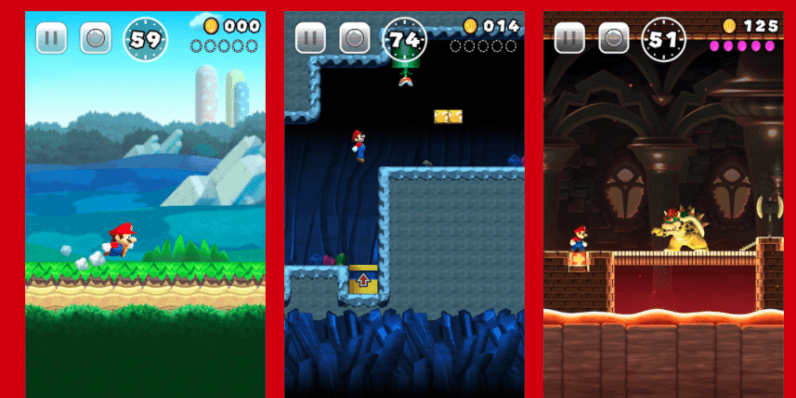 Super Mario Run features graphics from the Nintendo DS title New Super Mario Bros. and offers three game modes. You can see what it looks like in Apple’s presentation here. The company said last May that it planned to launch five mobile games by 2017. Since then, it’s only released a social app called Miitomo; you might want to include Pokémon Go on the list, but it technically doesn’t count as Nintendo didn’t make it and only has an “effective economic stake” of 13 percent in the app. It’ll be interesting to see what else the company has in store for mobile gamers over the course of the next year.